Who predicts that India will have 100 million, or 60% of the world’s heart patients by 2010. The scenario is of a nation crippled by heart disease. While doctors tinker with the hows & whys, each individual has the weapons to fight back. A major heart study of over 5, 000 patients in the US in 1996 found that only 14% of the Indian-American men and 5% of Indian-American women had optimal HDLA cholesterol level. It is a triple, sometimes quadruple. While Americans & Europeans often suffer from one blocked artery, double or triple artery disease among Indian is common. The study shows that Indian across the globe, even third generation emigrants, fall like ninepins to cardiac disease, they are at least four times more susceptible to Coronary Artery Disease (CAI) than Europeans, Chinese or Blacks, and this risk increases up to ten times in those younger than 40. Doctors explain the proneness of Indian to CAD to the “Starvation Gene Theory”. According to this India suffered drought for hundreds of years. Fats & Carbohydrates provide energy to the body & so our genes adapted to survive long periods of drought by consuming fats & carbohydrates slowly to make them last longer. Although now our bodies get adequate supplies of food, but these zenes are still in action as they take a long time to adapt, so our food continues to be metabolized slowly resulting in the dysfunctional biochemical profile. Some cardiologists put the blame on stress & life style changes due to rapid urbanization. Whatever may be the reasons, the fact is that position is alarming. Most of the people are unaware that’ Astrology’ which is a part of Indian ‘Vedas’ can play a vital role of an exact knowledge in predetermining one’s pre- disposition to any disease that may occur during the life span of an individual. Medical Astrology is very advanced. We can locate the parts of the body affected, detect the disease & also select right time for treatment. Most of the people refuse to believe that planets on the humans can be easily understood by a very common phenomenon of tides in sea. Planetary positions of Sun & Moon affect sea water causing tides. Blood in the human body is not only a fluid but contain the same salts that are dissolved in the oceans & that too practically in the same proportion. Therefore, our life is susceptible to same influence of Sun & Moon. Similar is the position with the other planets. In astrology the human body, for the purpose of identification of body organs, has been divided into 12 parts & each part is ruled by a particular sign of zodiac. Planets also have jurisdiction over parts of the body and have certain inherent tendencies to produce diseases. 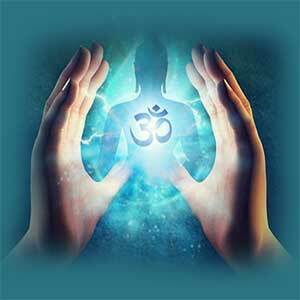 Basic astrological factors that may lead to heart problems can be analyzed as under:- 1. The planet Sun governs vitality which flows from a healthy heart. 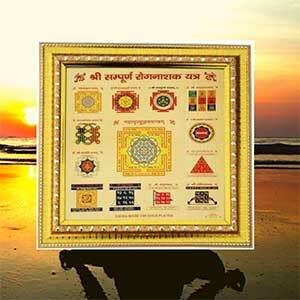 If Sun is strongly posited in horoscope, unafflicted and is under benefic influence, you have a vibrant heart. On the contrary, if Sun is weak, afflicted by malefic planets, without any benefic influences, then you are prone to heart problems. 2. The Zodiac sign Leo is the significator of heart & should be critically examined for predicting heart problems. 3. The 4th house in the horoscope represents heart. Cancer as 4th sign of the zodiac has also bearing on the problems concerned with the heart. 4. Lagna (Ascendant) the rising sign of the Zodiac at the time of birth is an important factor governing health of a person. 5. All kinds of diseases are governed by 6th house. 5th and 11th houses stands for recovery power. 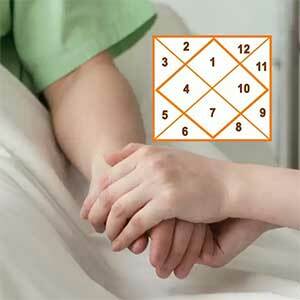 Therefore body recovery power in case of disease should be judged from 5th & 11 th houses of horoscope. 8th house of horoscope represents death, danger, surgical operations; Diseases which call for long hospitalization are indicated by the 12th house of horoscope. There are nos. 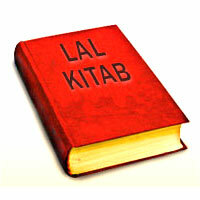 of planetary combinations described in astrological texts which lead to heart problems. Few of these can be mentioned here: 1. If 5th house is hemmed -in between malefic planets & it is occupied by a -malefic planet. 2. When planets Saturn or Jupiter owning the 6th house gets posited in the 4th house with malefic aspect. 3. Sun & Saturn posited in 4th house. 4. Sun in Aquarius sign. 5. Ketu & Mars in the 4th house. 6. Mars, Saturn & Jupiter in 4th house. By analyzing the horoscope correctly & scientifically one can predict about the proneness of a person of heart problems and the time period. As explained above, the gravity of the problem is to be understood. No doubt, researches in medical science may provide remedies after the problem has precipitated but in a critical expected scenario, medical science may not come to the rescue of a common person. 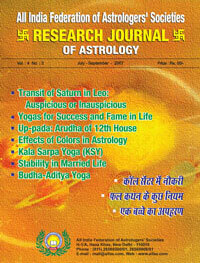 Astrology, no doubt, is a wonderful tool & simple remedies prescribed in Astrology for heart problems may be very handy. These remedies, if formed the part of life by each individual, may provide excellent solution to the projected scenario. Although each individual may get horoscope analyzed by an expert astrologer to get acquainted with the problem, some of the remedies listed here may also save you from dreaded heart disease. 1. 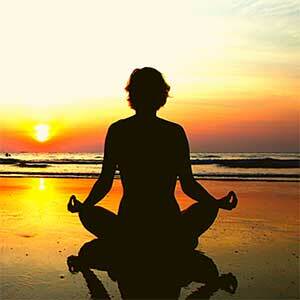 Do Surya Namaskar & offer water to the rising Sun. 2. Take a small piece of Jaggery (Gur) after lunch. 3. 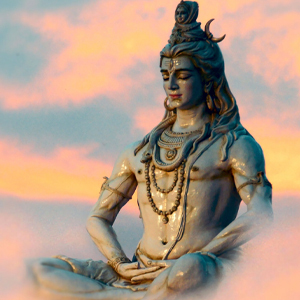 Recite Gayatri Mantra. 4. Give due respect to father & use few items in Possession of your father. 5. Avoid taking cereals late in night. 6. 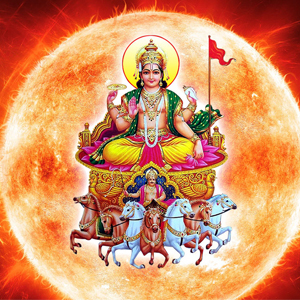 Recite Surya Sahasrenam Stotra. 7. Drink water kept in red coloured bottle in Sun rays. 8. Keep your morals high. 9. Wear ring of Ruby in gold in ring finger of right hand after consulting an astrologer. 10. Once in a while donate wheat to poor on Sunday. If above remedies are made part of life we can definitely eliminate or at least reduce the heart problems.